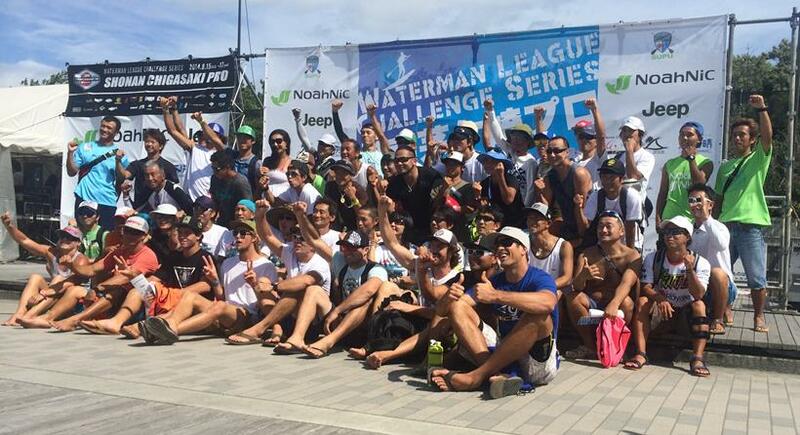 Japan welcomes the Waterman League World Challenger Series as the Shonan Chigasaki Pro gets underway in Asia. Athletes have descended upon Chigasaki, the home of surfing in Japan, from around the world for a full weekend of race action. Today saw the Opening Ceremony and the Na Kama Kai ocean sports clinic for younger paddlers, who got to try out a range of ocean sports from Outrigger Canoeing to water safety. Tomorrow the real action starts and with some strong winds forecast will make for some breath taking Sprint action. Thats followed on Sunday by the Long Distance race and with winds increasing, the organsiers have set up some tough upwind sections to really test the athletes stamina along with a number of downwind segments for the paddlers to do battle in. With a $20,000 US Dollar prize purse the Japanese locals will be out in force to contest with the international athletes in what will be an unforgettable event here on the black sand beaches in Chigasaki. Mo Freitas (Focus SUP), the youngster from Hawaii, is tipped to battle it out against Australia’s Beau O’Brien (Starboard) for the Shonan Chigasaki Pro trophy and be crowned king of Japan. Another Australian who will be hot on their heels is Toby Cracknell (Naish) who has been living in Japan for a month and knows the conditions well. Paul Jackson (Fanatic) another Australian, who is always a tough competitor, will want to do well here in Japan before travelling to America and the next event in Huntington Beach. Bart De Zwart (Starboard) who has been pushing the boundaries of Stand Up Paddleboarding with some superb expeditions this past year has been lured to Japan to compete in Asia and will no doubt be a threat. 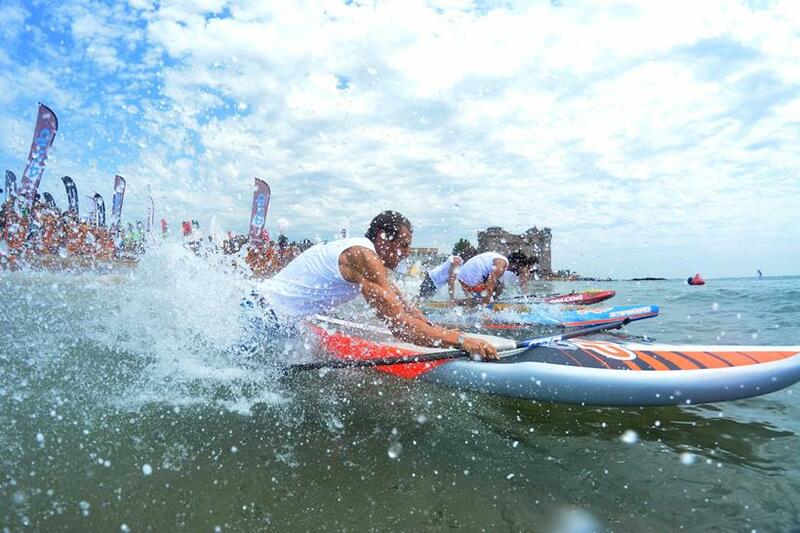 But do not underestimate the local Japanese paddlers who will not want to be out done by their international rivals and could throw up a few surprises throughout the weekend. The international athletes have been making the most of the culture and history that Japan has to offer. 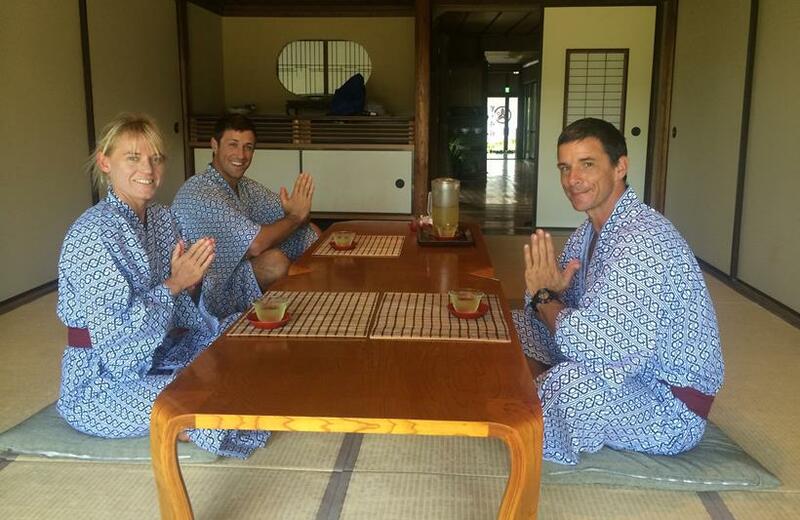 Australian’s Angela & Paul Jackson (Fanatic) along with American Chase Kosterlitz (Bic Sup) were given a traditonal Japanese welcome as they entered the Chigasaki Kan, a building just a stones throw from the event site which is hundreds of years old. The athletes were given traditional Yukata gowns and leather slippers to wear as well as greeted with a cup of green tea. Mo Freitas (Focus SUP) from Hawaii & Australian Toby Cracknell (Naish) braved the crowded Japanese railways to experience the ancient Kamakura Buddha statue and temple which is near the event site, just an hour from Tokyo. Australian Beau O’Brian (Starboard) & Bart De Zwart (Starboard) from Holland headed for the bright lights and busy streets of downtown Tokyo and the “Shibuya”. Make sure to stay tuned at www.watermanleague.com as we’ll bring you highlights from some of the athletes trips around Japan as they experience the diverse culture and religion that this country has to offer.